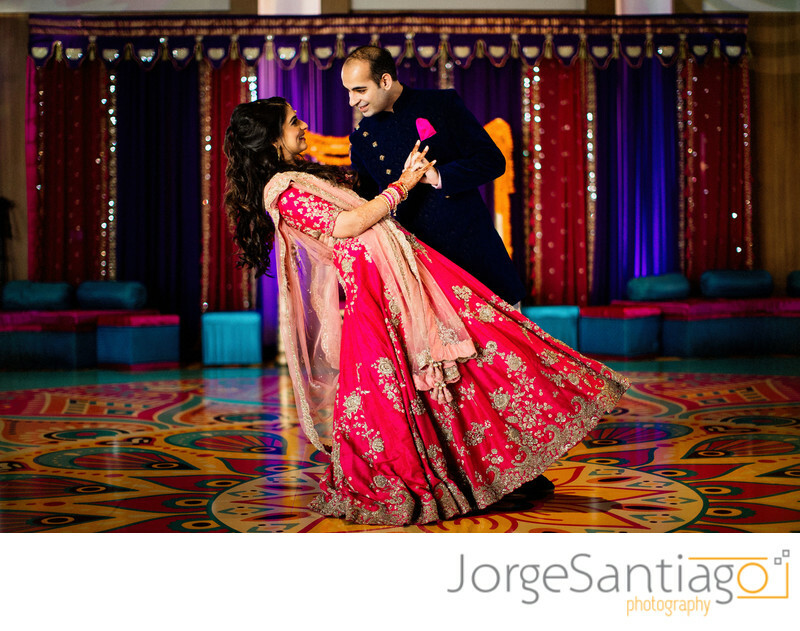 Indian Wedding photos at the Rivers Casino in Pittsburgh. Portrait of the bride and groom. Sangeet night.